When playing floorball, we can see different approaches to floorball equipment. Floorball sticks are sold with an assembled blade, the IFF (The International floorball federation) test is also made in this way. Each brand tests their sticks with its blades. It takes some costs to the IFF so that the independent organization can ensure a professional level of testing and ultimately the quality of the equipment. This is especially due to safety considerations - for example could happen the stick breaks so badly that a broken piece would injure someone. The IFF does its best to prevent this kind of cases. It's a similar principle to buying a car - it also must meet the safety parameters. 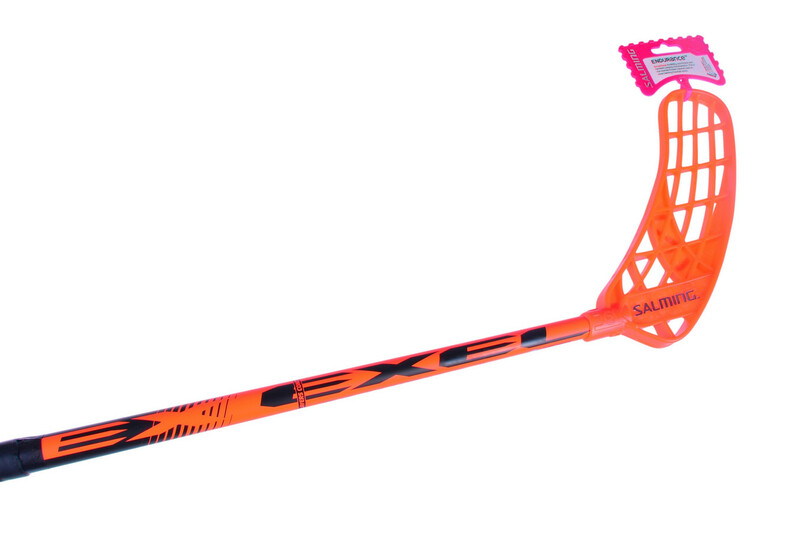 Some floorball players are asking us why they cannot combine the blade and the shaft of different brands when both pieces are tested and have IFF certification? "There has never been allowed to mix blade/shafts between different brands. From the very first beginning the insurance company (licence players) said no to even changing the blade of the stick. That was changed after a short period and change of blades within the same brand was allowed." "One of the reasons is that there is slightly too big difference in the connection point between blades and shafts. And the IFF don’t want players to do some “creative” solutions to make the blade fit on another brands shaft etc." Any combination of shafts and blades between different brands are not legal. Further, it is not permitted to sell or use IFF-certified and approved shafts with non-approved or non-IFF-marked blades. Nor is it permitted to sell or use non-approved shafts together with IFF-marked and approved blades or non-approved blades that are still IFF-marked. All of the above combinations are therefore not allowed to be sold on the marked or used in any official matches. It is of utmost importance that these rules are to be followed. If a shaft is to be shorted; the shaft has to be shorted from the top of the shaft. It’s not legal to shortening the shaft from the bottom (shaft/blade connection point) of the shaft.